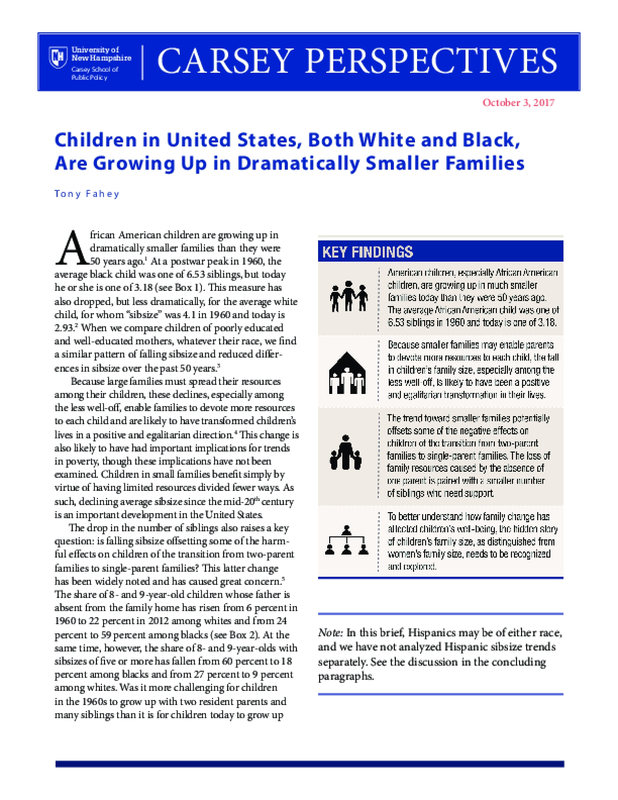 African American children are growing up in dramatically smaller families than they were 50 years ago. At a postwar peak in 1960, the average black child was one of 6.53 siblings, but today he or she is one of 3.18. This measure has also dropped, but less dramatically, for the average white child, for whom "sibsize" was 4.1 in 1960 and today is 2.93. When we compare children of poorly educated and well-educated mothers, whatever their race, we find a similar pattern of falling sibsize and reduced differences in sibsize over the past 50 years.